It's been a while since I decorated our little shelf specific for an occasion. I'd hoped to decorate it for my little boys birthday, but with so much preparation going on it got missed. So instead we have a Christmas/Tommy shelf. 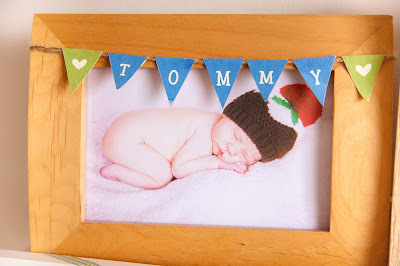 Since Tommy was born at the beginning of December I thought I'd decorate it with Christmas items that are focus on my baby boy. First up is a photo I took of Tommy just days after he was born. I had bought a Christmas pudding woollen hat for him and it made the cutest photo. In the middle is a quote I printed from the internet. 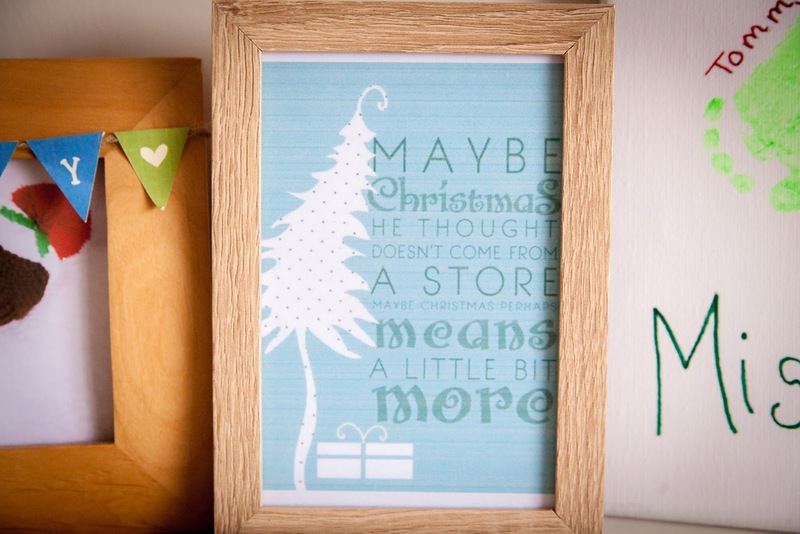 It says "Maybe Christmas He thought doesn't come from a store, maybe Christmas perhaps means a little bit more". This is a quote from the movie The Grinch who stole Christmas. To the right is a canvas that I made last Christmas. This is Tommy's foot prints upside down and underneath it says Mistletoes. 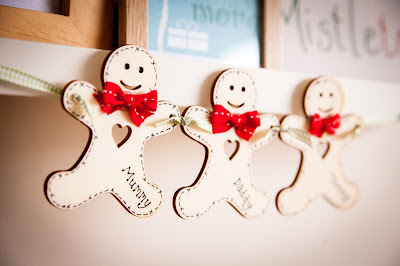 Hanging from the shelf are 3 wooden gingerbread men. I bought these cut outs from Ebay and using a gel pen drew on the outline and wrote the names on. 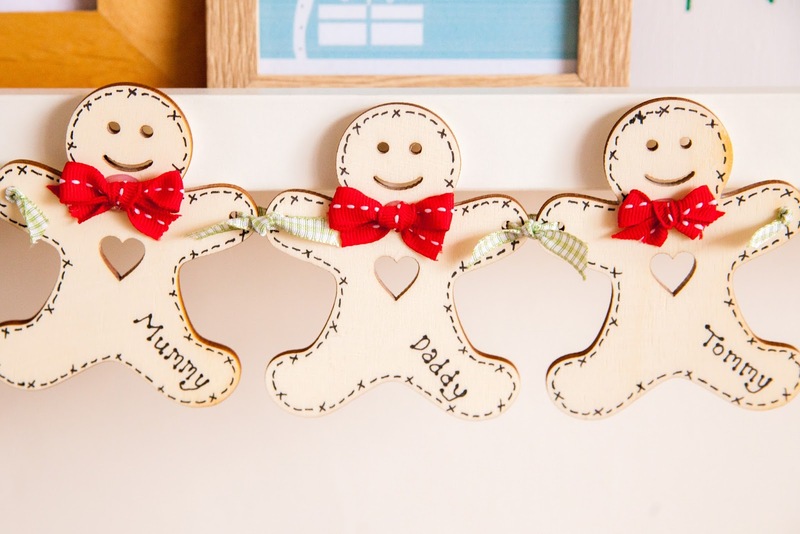 Then added ribbon bow ties and ribbon to tie them together and hand from the shelf.